Increase the screen resolution – The Note 8 is actually capable of running in 2k resolution which is not the manual display when you buy the phone. To enable it you can go to settings-display then increase the resolution to WQHD+2,560×1,440. Fingerprint sensor gestures – You can turn on the fingerplay sensor gestures by going to settings and search for finger sensor gestures. Note that to turn this feature on the fingerprint gestures have to be turned on first. Accessing the Secure Folder – The secure folder on the Note 8 can be used to hide any picture or work/sensitive accounts to your liking. You have to use fingerprint, iris or password to access the secure folder by searching for it in the settings. Then choose the unlock method that you use in your phone. 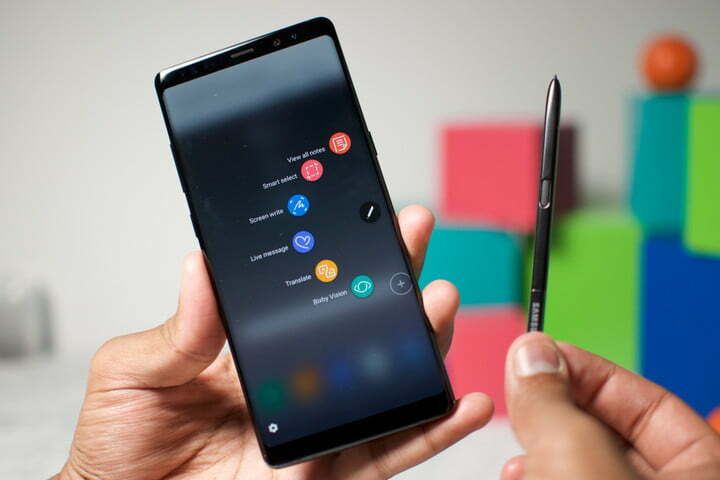 Tracking your lost Note 8 – There are two options of finding the phone either by Google’s Find My Device or using the inbuilt feature on your phone called Find My Phone which you set it up before the phone gets lost. You can do this by going to settings, search for Find My Phone then logging into your Samsung Account or creating one then turning it on will enable you to track it down. Game Launcher – To keep all your games in one folder for ease of access, saving time along with better battery performance, search game launcher in settings and toggle it on. Virtual Assistant- Similar to Siri, Samsung too has virtual voice recognition up to 175 commands called Bixby. Use it for a hand free plus dynamic experience on the go. Quick Launch Camera – With the quick launch camera turned on you can simply double press the power button to open the camera. To enable access you can go to settings, search for quick launch camera option then press the toggle it on mode. Dual Capture Mode- After launching the camera swiping left lets you choose the dual capture mode, where you can take two photos with one click. Changing the Keyboard style – The keyboard setup can be altered by downloading the Gboard app from the Play store allowing faster typing as well as adding customizations. S Health – For those of you who weren’t aware, there is an inbuilt health app called S Health which help you take note of all your appointments, checkups, prescriptions, insurance details as well as having access to quick emergency services.